To attract more MICE events to be held in Kaohsiung, the Kaohsiung City Government Economic Development Bureau organized a series of road shows. Featuring a contingent of Taiwan’s MICE companies, these visits aim to promote Kaohsiung as a prime destination for incentive travel and to raise the city and region’s level of engagement, support, and networks with MICE planners, buyers, and businesses in Asia. The first road show, held on 25 May in Singapore, presented representatives from China Airlines, FIH Regent Group, Kaohsiung Exhibition Center, MSL Group, and Taiwan Tour Travel Services. The event brought in more than a hundred buyers comprised of specialist MICE travel agencies, corporate buyers, and key personnel from travel trade media in Singapore. From presentations to table-top showcases and networking activities that facilitate business discussions, buyers had a productive time networking with five of Taiwan’s premier MICE suppliers and learning more about Kaohsiung’s MICE environment. Kaohsiung is a tropical and coastal port city located in southern Taiwan. It houses Taiwan’s largest maritime harbor, the Kaohsiung Port, which is the Asia Pacific’s first to gain an EcoPorts license. Kaohsiung’s efforts towards urban transformation, digital content promotion, and cultural and creative industry development have been attracting more MICE events to Kaohsiung. 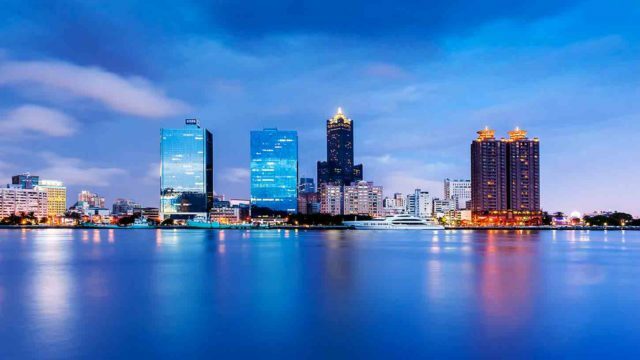 Kaohsiung is securing their ambitions in Asia’s MICE market. The next road show will be in The Westin Grande Sukhumvit Bangkok, Thailand on 27 May.